Toronto Real Estate Board President Dianne Usher announced that strong growth in rental transactions and rental listings was reported by Greater Toronto REALTORS® during the first quarter of 2014. For condominium apartments in particular, total rental transactions were up by 17.8% compared to the first quarter of 2013. The total number of units listed was up by an even greater 27.7%. 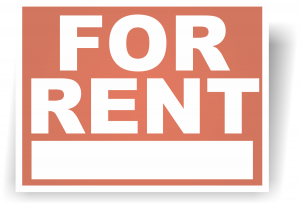 “Renters took advantage of an increased supply of investor-owned units listed for rent in the first quarter. These units, with modern finishes, choice amenities and locations in popular neighbourhoods attracted a growing number of renter households, including young professionals moving close to work in downtown Toronto and new comers to Canada who initially chose to rent,” said Ms. Usher. One-bedroom units accounted for approximately 60 per cent of total condominium apartment rentals in Q1 2014. The average one-bedroom rent was down by 1.6 per cent to $1,573. Two-bedroom condominium apartments accounted for 36% of transactions. The average two-bedroom rent was up by 1.9% to $2,155. “The condominium apartment rental market has become better supplied over the past 12 months as a number of new projects reached the completion stage. While rental demand has remained strong, and many investor-owned rental units have been absorbed, the increase in supply has given prospective renters more choice, so the pace of average rent growth has moderated,” said Jason Mercer, TREB’s Senior Manager of Market Analysis.